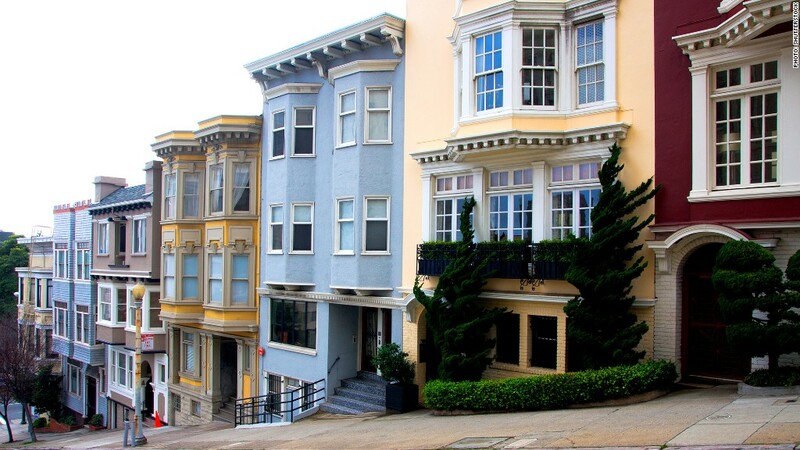 Even though the average San Francisco-area resident earns a six-figure salary, median home prices are so expensive that only a small percentage can afford to buy a home there. That makes San Fran the least affordable major housing market in the nation, according to National Association of Home Builders/Wells Fargo Housing Opportunity Index. Blame part of it on tech riches. All of those IPOs (Twitter, Facebook) have generated a lot of wealth for company insiders and these tech millionaires are bidding up the prices on the most coveted single-family homes. Yet, something else is at play. Strict underwriting standards are making it tougher for first-time and low-income buyers to get a mortgage, said NAHB's chief economist David Crowe. That means fewer starter homes are being sold compared to the larger, more pricey ones, pushing overall median home prices higher, he said. *The Housing Opportunity Index is the percentage of new and existing homes sold that families earning the area's median income could afford during the third quarter ended September 30, 2013. Prices of new and existing homes are based on figures from CoreLogic and mortgage data is based on rates reported by the Federal Housing Financing Agency.